Are Aston Villa resigned to losing Jack Grealish? Aston Villa will employ dramatic cost-cutting measures this summer to try and rectify their financial situation which could result in their best asset, Jack Grealish, being sold. After failing to gain promotion from the Championship this summer, the Midlands club have an uncertain future as their financial security was dependent on them returning to the Premier League. 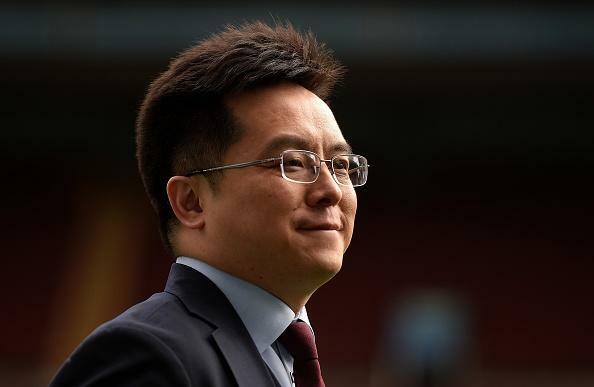 Chairman Dr Tony Xia is reported to be looking for a buyer for Aston Villa, meaning a second takeover in two years looks on the cards and there could be a lot of high-profile exits to make up the financial deficit caused by Xia’s risky strategy. The Villans have been trimming the wage budget, letting Gabriel Agbonlahor and Chris Samba’s contracts expire without a renewal being considered and Grealish could follow them through the exit door. The creative attacking-midfielder has an asking price of £40m this summer. Tottenham are believed to be negotiating for half the fee, while Liverpool could lodge a bid greater than Spurs to land Grealish’s signature. There’s no question of the 22-year-old staying at Villa Park. He’s open to joining a big club that can offer Premier League and Champions League football and Villa desperately need the money. Grealish made 110 appearances in all competitions for Villa and become a fan favourite last season after setting the Championship alight. He would be a good signing for a manager looking to develop young talent and a move will boost his chances of getting in the England national team in the future. If other players see that Villa are actively selling their best talents, they could also seek to leave this summer. Promotion looks a distant dream in 2018/19 if the likes of Grealish are allowed to leave, and players such as James Chester, Henri Lansbury, Conor Hourihane, Albert Adomah and Jonathan Kodjia could follow. Clubs will target Villa’s stars, knowing they can sign them at a cut price due to the seriousness of their financial situation. Players will be open to a move as the club aren’t likely to move forwards next season and the task of merely consolidating in the Championship becomes the sole focus. There won’t be any investment in the club this summer while Xia remains the owner. Instead a summer exodus looks on the cards and players from the youth teams being prematurely promoted to take their place. Grealish is almost certainly leaving and he won’t be the only one. 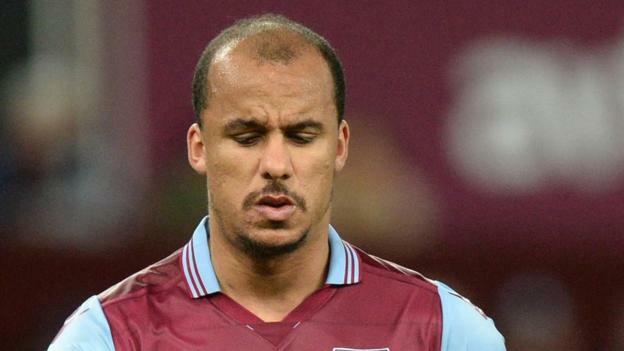 Aston Villa forward Gabriel Agbonlahor. Long-serving forward Gabriel Agbonlahor has finally exited Villa Park after Aston Villa submitted their released list to the Championship. The 31-year-old rose through the youth ranks to the first-team in 2005 and went on to make 391 appearances in all competitions for the Villa. In addition to Agbonlahor, Swedish attacking-midfielder Khalid Abdo will be on his way out when his contract expires. The 21-year-old was originally deemed a hot prospect for the at the time of his signing in 2012 but failed to make an impression on the first-team in six years and has been deemed expendable. Christopher Samba will follow him through the exit door, having made 14 appearances for Villa after joining on a free transfer last summer. He’s out of contract and won’t be given a renewal. John Terry is the most notable departure. He joined from Chelsea last summer and made 36 appearances as the Villans finished fourth in the Championship, losing in the playoff final to Fulham. The 37-year-old was considering extending his deal with Villa before they failed to return to the Premier League. Villa have named 45 players on their retained list, but that number is expected to fall dramatically this summer. Due to their financial problems and a need to trim the wage bill, the Midlands outfit are expected to put a number of players up for sale. An exodus could be on the cards, with James Chester, Jack Grealish and Albert Adomah attracting interest elsewhere, while feelers will be put out for Micah Richards who didn’t play a single game last season and still has another 12 months left on his deal at Villa Park. Aston Villa owner Dr Tony Xia. Aston Villa have had an eventful few weeks, losing in the Championship playoff final to Fulham, dealing with rumours that chairman Tony Xai was looking to cut his losses and run, while having a manager unaware of his future at the club. Things have spiralled even further as the Villans’ have recently suspended their chief executive over a missed tax payment. The Midlands outfit have been served with a winding up order by Her Majesty’s Revenue and Customs and have one week to pay. Aston Villa released a statement on Tuesday that revealed chief executive Keith Wyness had been suspended as a result of the winding up order from HMRC. Villa reportedly missed the tax payment on Friday and face a winding up order if the money isn’t paid within seven days. “Aston Villa Football Club can confirm that Chief Executive, Keith Wyness, has been suspended by the club with immediate effect. Owner and Chairman, Dr Tony Xia will assume the role until further notice,” the statement read. Wyness was appointed CEO in 2016, not long after Xia completed his takeover of Villa. He’s worked with Aberdeen and Everton in the past, but it’s unknown if he’ll return to Villa or be removed from his position. Villa manager Steve Bruce is currently in the dark about his future at the club. The Midlands outfit are resigned to a third consecutive season in the Championship and Xia hasn’t made any guarantee that he’ll be taking charge of the club for 2018/19. The 57-year-old was appointed Villa manager in October 2016 and led the club to 13th in the Championship (2016/17) and fourth the following season. Villa lost to Fulham in the playoff final and now Bruce doesn’t know where he stands. Bruce won promotion to the Premier League four times as a manager, but he may not make it a fifth with Villa. The club are set to overhaul the squad to ensure they meet with Financial Fair Play regulations, meaning they could struggle in the Championship next season. If so many players are forced to depart, Bruce may feel promotion is impossible which could see him step down. Club up for sale amid financial ruin? Xia already admitted big changes were needed at Villa to meet with FFP this summer, saying: “We are all aware that we will face severe FFP challenges next season. I am an Aston Villa fan. But I am also a businessman. We have been heavily investing for the past two seasons. However, the (playoff final) loss means that we need to change a lot of things”. Such issues could see Xia putting the club up for sale and cutting his losses, as a consortium headed by ex-football agent Matt Southall is reportedly keen to purchase Villa. If Xia gets back the £60m he paid to Randy Lerner for the Midlands club in 2016, he may sell up. Villa need to cut their costs drastically and won’t be promotion contenders if abiding by FFP regulations sees them losing all their best players. Aston Villa have confirmed the departure of centre-back John Terry. The 37-year-old joined from Chelsea last summer and made 36 appearances in all competitions for the Midlands outfit as they reached the Championship playoff final, ultimately losing to Fulham at Wembley. “We would like to place on record our most sincere thanks for the effort and professionalism he showed with us last season. John is a true leader and was everything and more that we hoped,” read Villa’s statement from their official website. Aston Villa defender John Terry. Terry formed a potent defensive partnership with James Chester in 2017/18 which saw Villa concede just 42 goals – the second-best defensive record in the division. Steve Bruce’s side finished fourth in the Championship with 83 points from the 46 games. With Axel Tuanzebe, Tommy Elphick and Christopher Samba as centre-back options, Bruce did have other options at the back, but Terry proved his worth despite his advancing age and was a big reason why Villa went so close to getting back in the Premier League. Terry was in talks over a contract extension that would see him be able to avoid fixtures against former club Chelsea if Villa earned promotion from the Championship, but now he’s left the club for good and Bruce has to find a worth replacement. 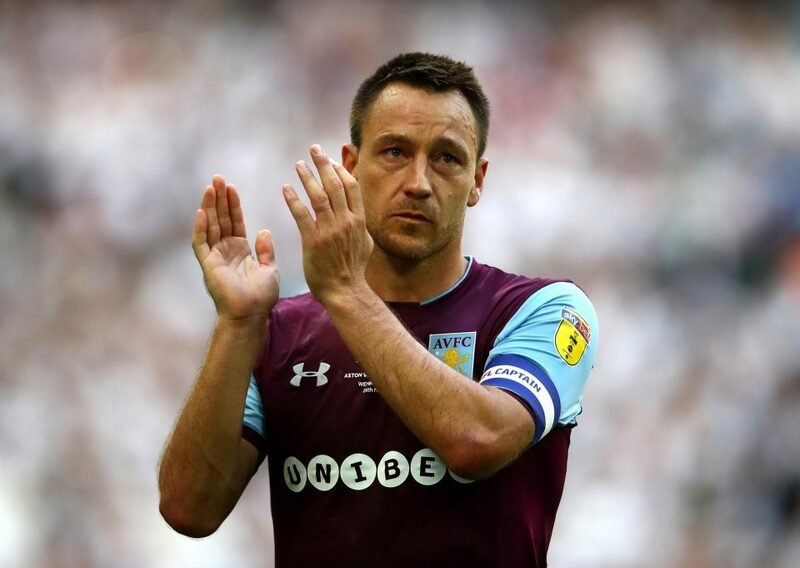 The two-month period Terry was sidelined for with a fracture foot would cost Villa the most in their pursuit for the playoffs, highlighting how influential he was on the pitch. He missed 10 games and Villa dropped points in 50% of the Championship outings. Terry’s start at Villa didn’t exactly go to plan, as they picked up just one point from their first three games of the season, but he turned things around to get the fans back onside. After suffering two early defeats, the Midlands outfit enjoyed an eight-game unbeaten run to climb back up the table. They would suffer just two defeats between mid-August and mid-December which saw them go second in the table with 36 points from 18 games. Only Fulham and Cardiff City picked up more points than Villa in 2018 too. There’ll be many regrets over their sloppy start to the season and dip in form without Terry, but Villa are nevertheless grateful such a world-class talent nearly got them to the Premier League. It’s unknown where he will go from here, but Terry doesn’t appear to be considering retirement just yet. He was happy to stay at Villa Park if they earned promotion, so he’ll surely find himself another club and sign a 12-mnoth deal before considering his future. After playing 36 games last season, Terry proved there’s life in his old legs, but he may feel he’s earned a move to a slower-paced division abroad. The veteran could join up with ex-Chelsea teammate Ashley Young in the MLS or make a big-money move to the Chinese Super League. Time will tell. Aston Villa travel to Wembley to face Fulham in the Championship playoff final on Saturday, and Steve Bruce’s men go in as underdogs given the impressive form of the Cottagers in the second half of the season. Villa booked their place in the final after beating Middlesbrough 1-0 on aggregate in the semis. Fulham won 2-1 over the two legs against Derby County. There could be £160m riding on the outcome of Saturday’s clash at Wembley, but can Villa get their hands on it? Slavisa Jokanovic’s Fulham side finished third in the Championship with 88 points from 46 games. Only Wolverhampton Wanderers scored more goals and lost fewer games than the Londoners this season, and Fulham ended up finishing just two points off the automatic promotion spots. Their form in 2018 was outstanding, losing just one league game this year right at the end of the season when their fate was already sealed. At the turn of the year, Fulham were 12th in the table, seven points adrift of a playoff place, but picked up 16 wins and four draws from the 21 games that followed to finish on the cusp of the top-two. If the season started on January 1, 2018, Fulham would be top of the table with 52 points from 21 games, nine points clear of second-placed Cardiff City and 11 ahead of Wolves. The Cottagers hit a couple of hurdles this month, losing their final league game of the season and the first leg of their playoff semi-final clash, but they responded well in the reverse fixture and deserve to be in the final. Villa aren’t to be underestimated, however. Steve Bruce’s Aston Villa side finished fourth in the table with 83 points, boasting the third-best defensive record in the division. Their form in the last six games cost them a top-two place as they dropped eight points in the run-in. Nevertheless, they have a manager who has more experience of the Championship playoffs than most and boasts an outstanding promotion record. Bruce has earned promotion to the Premier League four times in his managerial career – Birmingham City (2002 and 2006/17), Hull City (2012/13 and 2016) – two of which came from winning the playoffs. He’s under a lot of pressure to deliver given the resources Villa had over the majority of their opponents this season and will be grateful for the experienced heads in the squad as they’ll be able to manage the final. Robert Snodgrass, Mile Jedinak, John Terry, Alan Hutton, Ahmed Elmohamady and Glenn Whelan have a lot of Premier League experience between them and will lead by example on the big occasion, on and off the pitch. Villa’s greatest strength in their defence, while Fulham’s is their attack. Something has to give on Saturday, but nerves may settle the final. Fulham are favourites, but Aston Villa had more pressure to deliver promotion this season after failing in 2016/17. The Midlands outfit have a manager who has done it four times in his career and knows how to approach a playoff final, but Fulham have beaten Villa in their last four meetings in London. It could be too close to call as a result.